I love a good New Year’s Eve celebration! 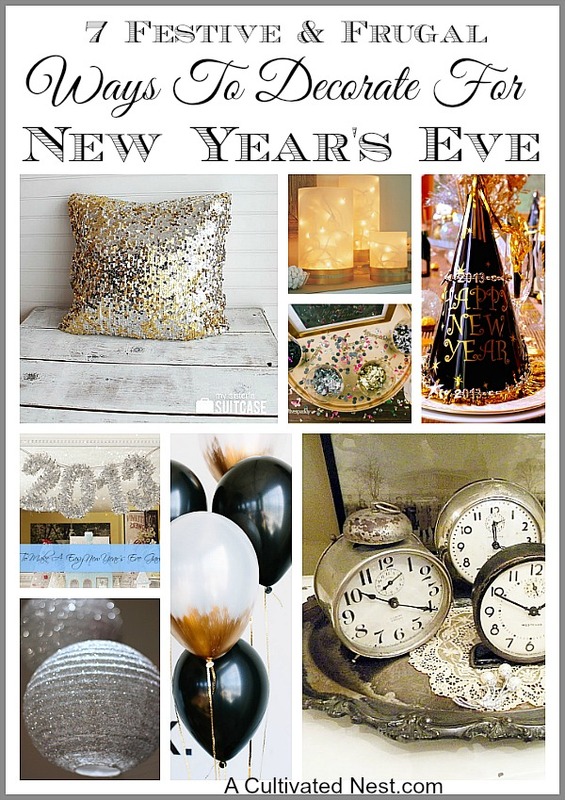 I especially like a New Year’s Eve that’s family friendly! And one of the best ways to make your New Year’s Eve more fun for the kids is to make mocktails for your drinks! They’re pretty like cocktails, and can be put in fancy glasses, but they’re alcohol free! 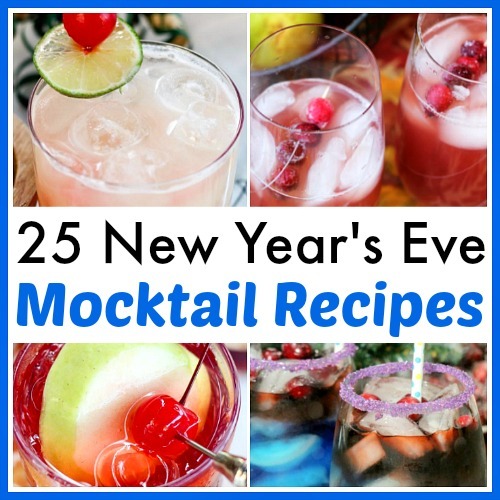 So send out this year with a great party and some of these 25 Delicious New Year’s Eve Mocktail Recipes! Delicious drinks that kids, expectant mothers, and designated drivers can enjoy without worry? Now that’s the best kind of New Year’s Eve drink! 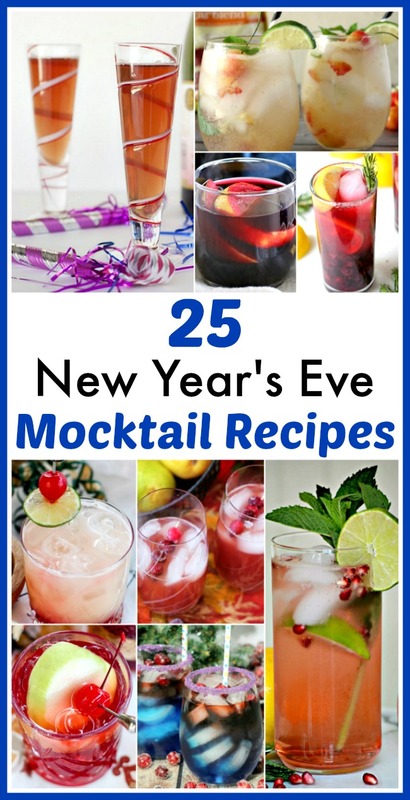 You definitely have to serve at least one New Year’s Eve mocktail this year! 3. Mocktail “Champagne” Jello Shots – Kleinworth & Co.
7. Grapefruit Mojito Mocktail – Frugal Mom Eh! 10. Sparkling Blueberry Sangria Mocktail – Kleinworth & Co.
15. Non-Alcoholic Cranberry Spritzer – Frugal Mom Eh! 18. Sparkling Cider New Year’s Eve Mocktails – Kleinworth & Co.
21. Pomegranate Mojito Mocktail – Frugal Mom Eh! Will you be serving mocktails or cocktails this New Year’s Eve? I love a good mocktail! Thanks so much for including two of my favorites. I’m looking forward to trying some of the others you have listed. Thank you for including our non-alcoholic Cotton Candy Cocktail! This is a great list for New Year’s. Thank you for sharing my Sparkling Cranberry Pear Mocktail !